Iverson was the star of the 76ers for many years. Known as "THE ANSWER" he led the 76ers to the 2001 NBA Finals MVP vs. the Los Angeles Lakers. During that season, Iverson won the league MVP. Iverson is a HUGE fan favorite, with his small stature and quick crossover move. Inducted into the NBA Hall of Fame in 2016. Iverson has signed this Philadelphia 76ers jersey. 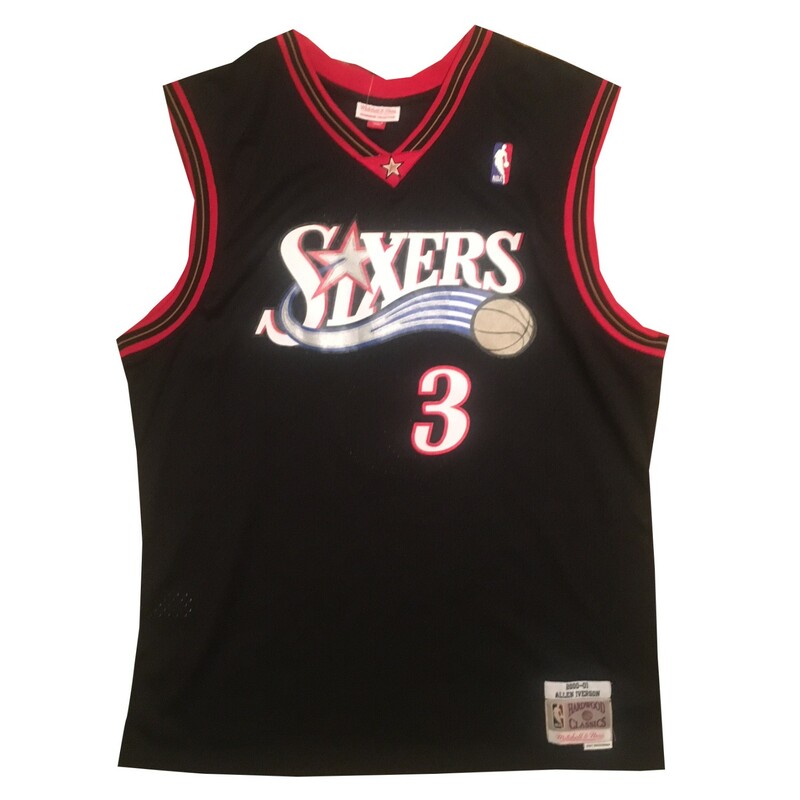 Jersey is an officially licensed Mitchell & Ness Swingman black jersey. Comes with original tags. Name and numbers sewn on. Size XL. 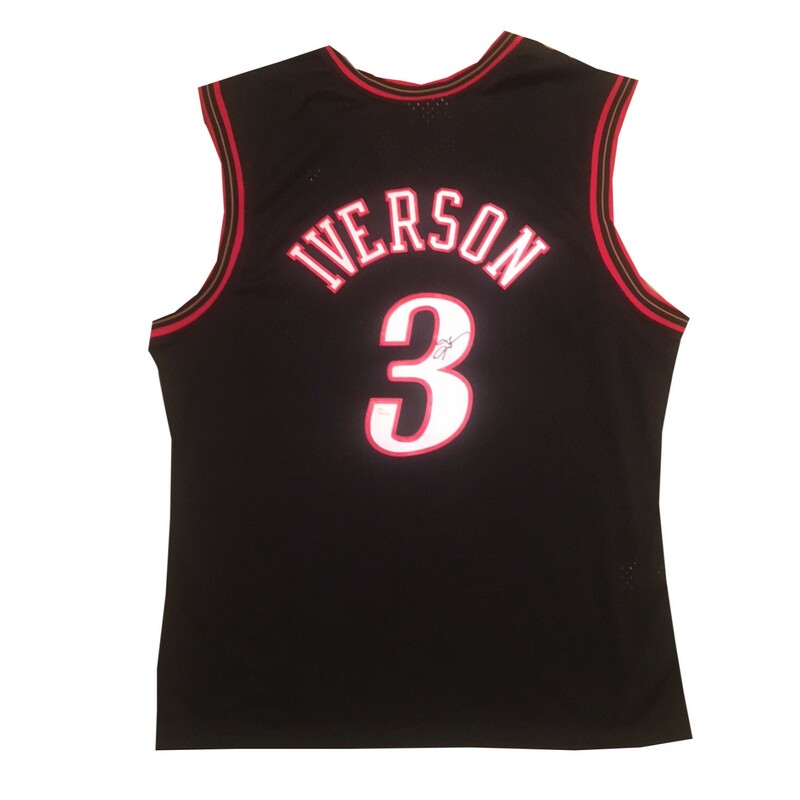 If you are going to get a signed Iverson jersey, get the real deal jersey! 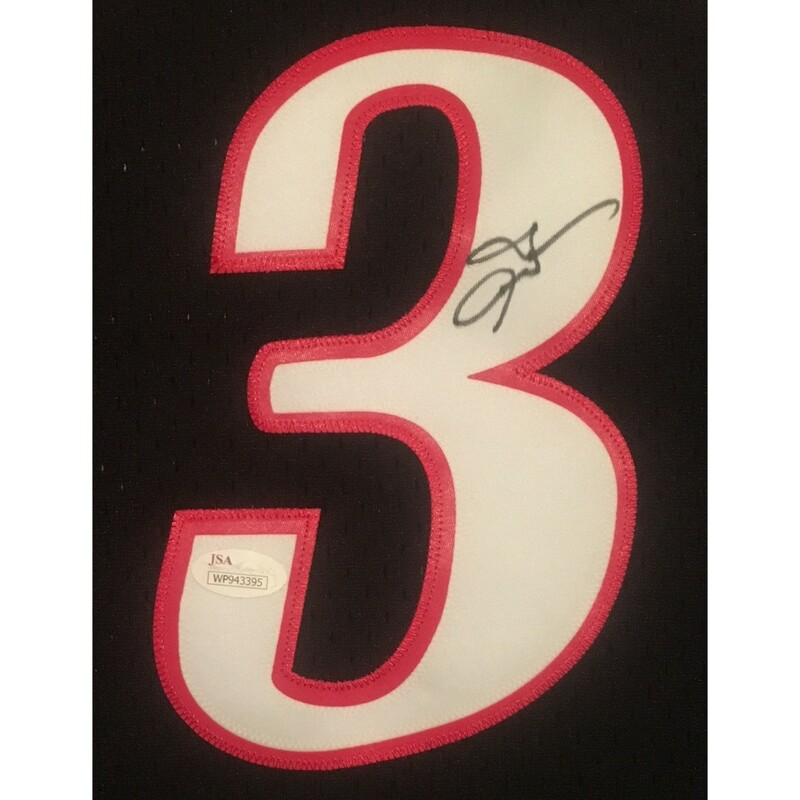 Autograph is authenticated by James Spence Authentication (JSA). Comes with JSA certificate of authenticity and matching hologram verified on their website. 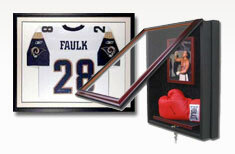 JSA is one of the world's leading authenticator of autographs. It is a "witness" COA, meaning a representative from JSA was present for the signing with Iverson and witnessed him signing your jersey.